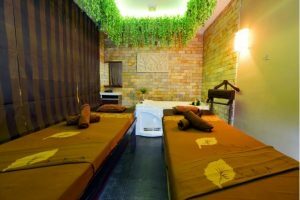 I am sure many of you have heard of the wonderful and sometimes, not-so-wonderful sides of the spa scenes in Batam. But have you heard of ultra-modern and Instagram-worthy spas in Batam? Yes there actually are! Even we, weekly regulars to Batam, are constantly and pleasantly surprised by what Batam has to offer to its pleasure-seeking visitors! Check out these hidden treasures because it’s time to gain more followers and likes for your Instagram account! Address: Ruko Palm Spring Blok A 2 No. 6 & 7, Batam Centre, Taman Baloi, Batam, Riau 29432, Indonesia. Kalea Spa is 5-min drive away from the popular Mega Mall and Batam Centre Ferry Terminal. 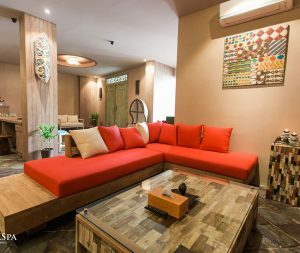 Kalea Spa will definitely make you go “WOW!” with their contemporary wooden design & vibrant colours. Once you step into the centre, you will immediately feel the energy and positivity. 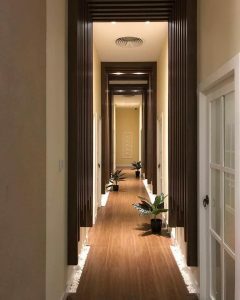 Besides their design & decorations, KALEA Spa also emphasizes greatly on product quality. They use natural ingredients and organic herbs for their head-to-toe spa treatments! For your convenience, they provide complimentary land transfers within city centre from Mega Mall/Batam Centre Ferry Terminal and even from Nagoya Hill! Address: Komp. Penuin Centre AA No. 01, Batam, Riau 29444 , Indonesia. Martha Tilaar Spa Express is conveniently located on the 1st floor of Gideon Hotel Batam in Baloi. Want to have youth looking skin, gorgeous hair, and enjoy a body massage to end the treatment? For all you ladies out there, Martha Tilaar Salon & Day Spa is THE place to go! 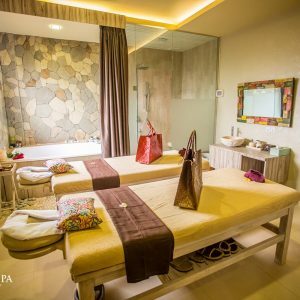 As one of the newer spas on the island with a well-known wellness Indonesian brand, Martha Tilaar Spa Express is perfect for ladies who are looking to spend an entire day pampering themselves! They have an extensive range of facial and hair treatments that will give you a dilemma of choice – a good problem to have! If you are staying at Gideon Hotel, there is a 15% discount off their spa packages. Get ready to enjoy the treatment and feel energized the next day when you wake up! Business Hours: 10:00 – 23:00 hours. Address: Nagoya Hill Superblock, Ruko 4 Lantai – Blok F6, Lubuk Baja, Batam, Indonesia.Thai Odyssey is strategically located within the Nagoya Hill Mall compound, in one of the shop houses bordering the mall. For those who have not got over their hangover after a recent trip to Bangkok, this place is for you! 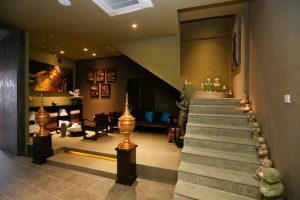 Here you will be able to re-live and re-visit the unique Thai culture through Thai-style massage and spa! 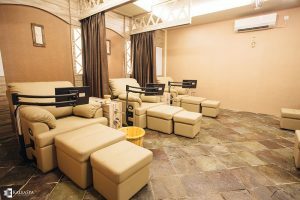 As one of the biggest spa outlets in this region, they have chosen Batam as their 50th outlet to bring their world-class “land-of-smiles” massages & services. Immerse yourself in their generous centre that spans more than 8000sqf across 2 storeys. 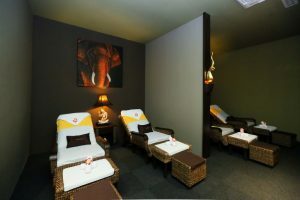 Expect peace, professionalism, and of course, PAMPERING, at this wonderful spa! From whichever angle we look at this place, we just can’t find a single reason why it shouldn’t be one of the instagram-worthy spas in Batam! 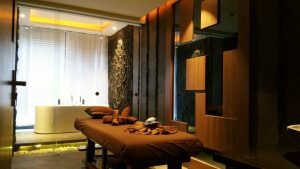 Not only Eska Group dabbles in Wellness Spa Massage and Salon with branches in Nagoya Hill and Mega Mall, it also has its own hotel, Eska Hotel & Spa Batam in the Kepri area! 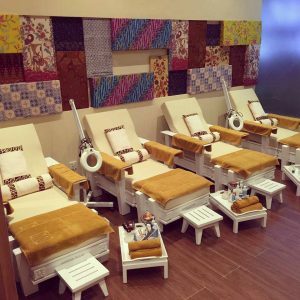 Their unique clean and green theme is why they are one of our instagram-worthy spas in Batam! They pride themselves in their professionalism, affordability, and wide range of spa, massage, hair, and facial treatments. Not forgetting that they have special promotions for Birthday celebrants and also honeymooners!